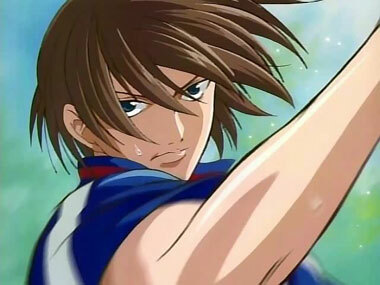 Sport-based anime is a genre onto its own. Basketball has "Slam Dunk", Drift Racing has "Initial D", Ashita No Joe and Fighting Spirit are Boxing anime, there's even ice-skating anime (Ginban Kaleidoscope). 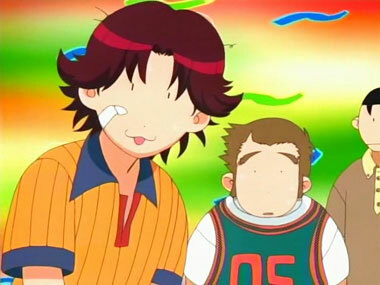 And never mind the plethora of Soccer or Baseball anime. Grappler Baki, Ayane's High Kick move into martial arts while titles such as Ranma 1/2 use Ninjitsu as a plot device to cross over from sports into fantasy realms. Fighting anime from Naruto to Dragon Ball Z use the fighting arts to further their plots and make for exciting spectacles. However, tennis doesn't seem to get as much coverage. 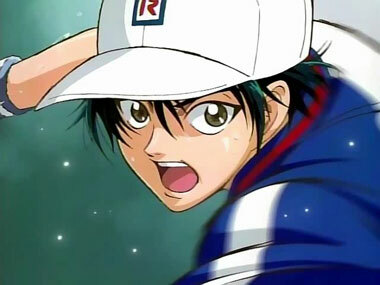 Until now that is — Prince of Tennis has become a smash hit (excuse the pun) among (mostly) women and with good reason. It's appealing because it has lots of characters with their own unique personalities, which different kinds of fans can like. While the plot can meander at times, it's the unique blend of characters that drives this anime series over the net. Typical sports anime usually stretches a single match over a lot of episodes — heck, a single fight in DBZ used to fill an entire season! Not so here. The episodes are quick, concise and action-packed. 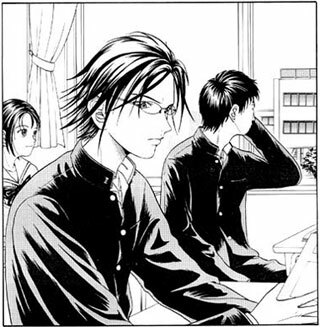 Not bad for a bishonen series that should consist of pretty-boy poses. 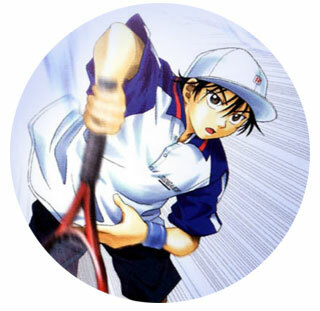 Prince of Tennis also packs a seriously cool soundtrack, which helps if you're not a big tennis aficionado, as each character is emphasized by their own "theme", which also makes for great tension out on the court. As the characters develop, you're drawn into the interactions between them and soon you find yourself sweating nervously as a match progresses. 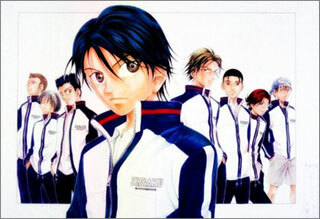 Due to the large and eclectic cast, you don't *have* to always root for Ryoma on the court. But, you will anyway. The skillful direction assures us that you'll be sitting on the edge of your seat. 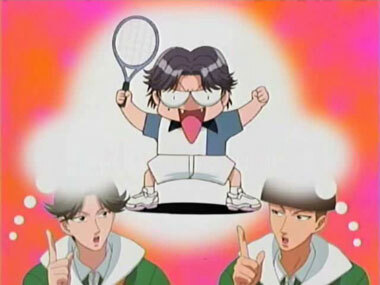 Below: The serious and silly side of Prince of Tennis. Below: Prince of Tennis opening titles from the first season. 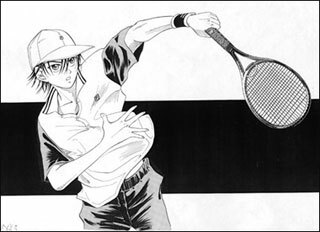 Below: The Prince of Tennis manga.